Well, I got sick of all of the spam that I was getting on my e-mail server I'm hosting on this domain. I just had pages and pages of spam and had to filter through all of it to get to my real e-mail. I finally decided to do something about it and I installed the latest version of Mercury Mail (4.52). I found out that it comes with Graywall, Spamhalter, and ClamAV. I thought that it sounded like it was worth a try now that they have included programs to help eliminate spam. Well, it really works! Graywall actually stops everything before Spamhalter or ClamAV can check anything. All of my legitimate e-mail seems to be getting through while the spam is rejected. Life is good once again! World of Warcraft Is Awesome! Back in April of 2006 I posted about World of Warcraft and how I didn't like it. I couldn't even see how someone could possibly want to play it. Well, I have mended my ways. For two months now I have been playing it. I am officially addicted. This game rocks! Blizzard has done it. They have found something to pull you in that you'll be willing to spend $15 a month on. They are making a killing off of this game, I am sure. I am proud to say that I am helping them make a huge amount of money! I was very outspoken about this game and how it couldn't possibly be worth $15 a month. Well, for any of you out there who feel like I used to feel... I DARE you to try the 10 day trial! I have two characters that I play regularly. One is a Level 49 Tauren Hunter (Tigrao) and the other is a Level 46 Blood Elf Mage (Tigrai). I'm on Arygos, so say hi if you see me in the game! Denver is now tied atop the AFC West with Sand Diego at 5-5 after a 34-20 win against the Tennessee Titans last night. 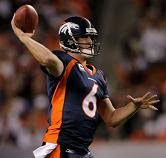 Denver looked good and Jay Cutler (pictured) had an awesome night passing the ball. The Broncos look like they could be putting together a team that might contend in the AFC. Their remaining schedule is somewhat weak, as San Diego and Houston are the only teams on the schedule at the .500 mark. 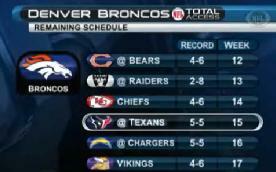 The remaining games are winnable games and the Broncos could end the season at 11-5, but probably 10-6. That's a respectable record! * Spacious master bedroom has two closets with French doors and built in shelving and organizers (12 x 14). * Two spare bedrooms with one closet a piece (11 x 11). * Two full baths with shower and tub. * Inviting Living Room (12 x 17). * Beautiful “Knotty Alder” cabinets throughout. * Ceramic Tile throughout bathroom and kitchen. If you are looking to live in the Logan, UT area in a nice apartment with two other roommates then this is the place for you! If you chose to move in, you would have one of the spare bedrooms for yourself, but would share a bathroom with one other roommate. LDS standards are definitely preferred. Smoking in the apartments is prohibited. We would prefer to not have alcohol in our apartment as well. The rent is $210 a month plus utilities, which range between $40-$60 a month per person (not including internet access). Please click the [url=http://www.tigrao.org/contact.php]contact me[/url] link on the webpage menu on the left, if you are interested, and send me a message with any questions you might have. We will then get back to you with further information. The apartments are located at 1693 N 400 W.
What's Up with the Broncos? After updating sphpblog to the latest version, I was looking through all of the themes that it comes with. I have decided that I really like this theme, "GLite." Hopefully having a new look will be an inspiration to keep posting and get this site active again! Not that it really matters anymore since I haven't really been posting here... but I have had to deal with a lot of stupid bots putting comments about "free verizon ringtones" and "free cingular ringtones" and others. I had an older version of sphpblog running on here and I'm sure it was a security hole in that. Anyway, I have now updated to the latest version of sphpblog to try and get rid of the comment spam. It looks like it should work. Anyway, the site looks different right now. I will be working over the next several days to get it back to how it was. It shouldn't be too much work. I didn't hack up sphpblog too much. So we just got back from taking a week long trip to San Francisco. We saw Fisherman's Wharf, took a ferry tour of San Francisco Bay, went to Alcatraz, walked through Chinatown, and explored the Palace of Fine Arts area. It was a fun trip! Pictures can be seen in the gallery for those of you who want to see. I went and saw Transformers the Movie just over a week ago. I have to say that it was the coolest movie I've ever seen! I am going to go and see it several more times! I was surprised by the balance that was achieved between modernizing the movie and yet holding true to the original Transformers cartoon series. The movie is also full of action where we see classic battles between the Autobots and the Decepicons! 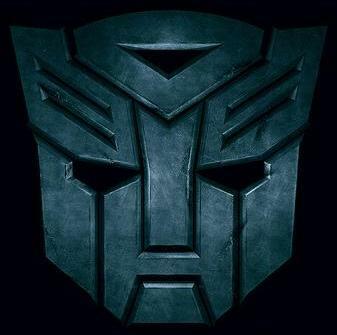 The coolest thing about it, though, is that they got the original guy to do the voice for Optimus Prime! This movie is worth seeing over and over and over again! So, I haven't posted about my new phone yet! I bought an LG VX8600 from my roommate. I decided when this phone came out that I was going to buy it. I just didn't want to buy it at full retail price. I've used it now for almost two weeks and I love it!!! The phone is so thin. I can't even tell that it is in my pocket! It supports all of the Bluetooth profiles that I want, except for OBEX. I does Dial-Up Networking, Serial Port, Object Push, Stereo Audio, and Headset profiles. The music capabilities of this phone are awesome! I use it as my main music player when I'm on the go. I think that my next car stereo will even have A2DP support so that I can just use my phone to listen to music in my car. We'll see about that, though. 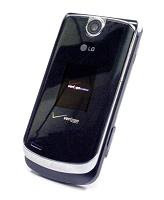 I've hacked this phone up to the level that I had on my last phone. I have Mobile Web going through my own proxy server. I've changed the MMS server setting as well, so that I can send free picture messages. What else... I have free MP3 ringtones and VZ Navigator as well! 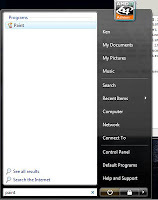 See my post a few down from here to read about VZ Navigator. I'm quite pleased with my new phone and I would highly recommend the VX 8600! If you ever wonder why this site is Tigrao.org now you know. Tigrao (Tigger as we know him in English) is just the coolest in the world. He's awesome! 'Nuff said. Have you tried Google's Voice Local Search yet? I tried it out for the first time today and it rocks! [blockquote]Google Voice Local Search is Google’s experimental service to make local-business search accessible over the phone. * search for a local business by name or category. * get connected to the business, free of charge. * get the details by SMS if you’re using a mobile phone. Use it! Google Voice Local Search (I call it Google 411) is the coolest thing since the telephone was invented! For those of you on Verizon Wireless that have not tried VZ Navigator, what are you waiting for? 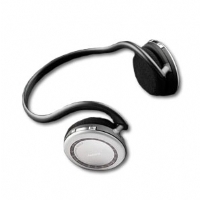 VZ Navigator is a full-feature GPS navigation system for your Verizon Wireless cell phone. I've been trying it out and I love it! It features full gps navigation, route planning, voice prompt directions, address input, and location search. Well, I have moved out of my parent's house. No, this is not the first time. I have lived away from my parent's house before, but I moved back after my engagement fell through. I thought that I needed some time to recover emotionally and financially. Well, I suppose I feel like I've had that recovery time and I moved away. It feels good. I'm glad to have my own place where I can arrange things how I want them and do everything the way that I want. I now feel like my personality can more fully develop and I can be my own person. I'm not saying I don't love my parents. I love them very much and they have done so much for me in my life. I wouldn't be anything without them. However, there comes a time when everyone needs to move away to have a chance to grow as their own person. Summary: I'm glad to be in a place of my own! It's great! My new computer is finally put together! It's been a sad month without a computer, but it is all worth it now! This machine just rocks!!! I can play Company of Heroes on the maximum settings with 4x anti-aliasing and 4x antrioscopic filtering! I am very pleased with my purchase! Windows Vista x64 runs awesome on this box! Windows Aero and Flip 3D never looked better! Microsoft seems to have done an amazingly good job on Vista overall. I am quite impressed with the capabilities of this operating system, especially when running on brand new hardware. I am very pleased with my new build! Now I'm going to spank everybody at the LAN parties! Muwahahahahah! My main computer died. I am an idiot. I tried hacking some updated RAID drivers into my BIOS. I killed it. My computer is dead. I don't know what the deal is, but I sent for an updated BIOS and that didn't work. I sent for another one from ASUS themselves to see if that will work. I hope that it solves the problem. Anyway, my music site is finally back up. I decided to pull my storage drive out and put it in my server computer. So, now the site will stay up. Sorry, for those of you that have been missing it. 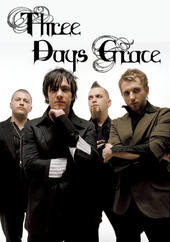 If you don't know the group Three Days Grace, I suggest you check out their [url=http://www.myspace.com/threedaysgrace]myspace page[/url] and get to know their music! You are missing out!!! I've had Windows Vista Business 32-bit installed on my computer at work for a little over a week now. At first I hated it. It would always bring up a prompt telling you that "Windows needs your permission to continue." It turns out that Vista runs every user in a non-administrator mode and when it needs to elevate your privileges to Administrator, it lets you know what is going on. I suppose this is a good thing. Spyware and Viruses can't be installed anymore, at least not yet. 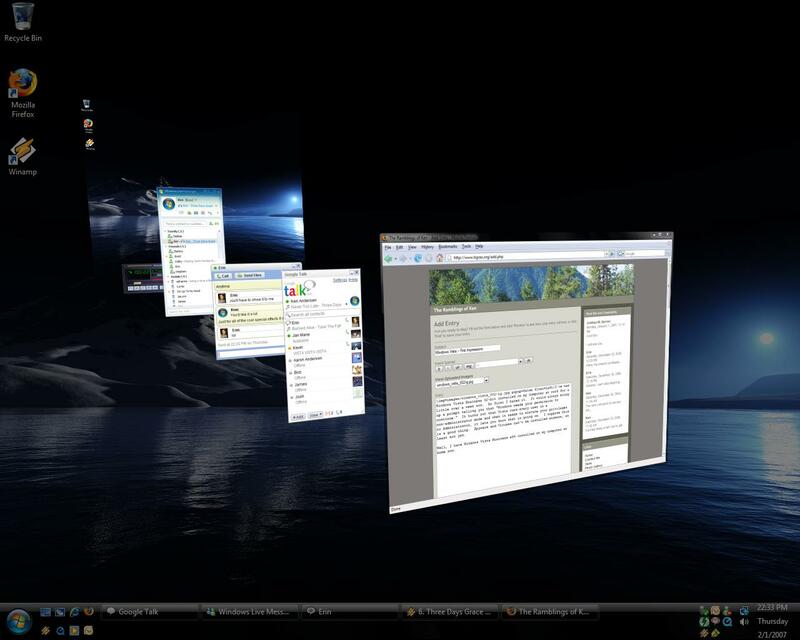 Flip-3D is a new alternative to using Alt+Tab to switch between Windows. To use it you press Win+Tab instead of Alt+Tab. It stacks up all your Windows in a cool 3D interface. You can then click on a window, use the scroll wheel on the mouse, or continue pressing Win+Tab until the window that you want comes up. The new Start Menu for Windows Vista is way cool! It no longer stretches your program folders across the screen. Instead it keeps them in place so you don't have to continue to move your mouse to the right to find a program. The new search feature at the bottom of the start menu is way awesome too! It will launch all of your programs straight from the search box! 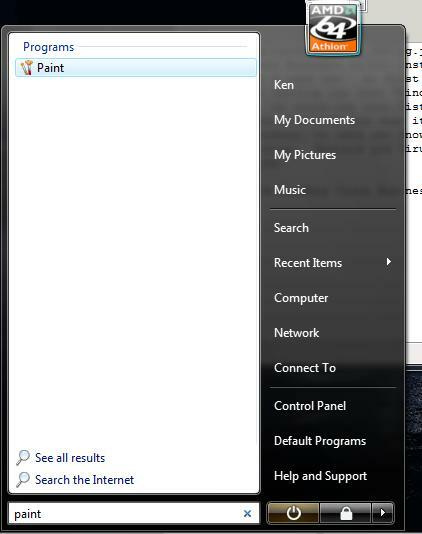 For example, if you want to start paint (as shown in the picture), simply type "paint" in the box and press enter. It rocks! In Windows XP if you wanted to install the operating system on hardware that wasn't supported out of the box (i.e. RAID systems), you had to create a floppy disk with the drivers on it and then make sure to hit F6 right at the start of the Windows installation process. In Windows Vista, simply throw your drivers on a USB flash disk or CD-R and click on the Load Drivers button. It is that simple! The repair process also adds new and easy ways to fix your operating system, should something go wrong. You can use System Restore to go back to a restore point, use the automatic repair feature, or bring up a command prompt and do it all yourself. You can also load network and hard disk drivers on the fly. It is way cool! Well, I have Windows Vista Business x64 installed on my computer at home now. So far, I am very impressed! I am tempted to delete my XP x64 partition and go Vista all the way! Good job so far, Microsoft! New Server - Thanks K! My friend, K, donated a new server computer to me! 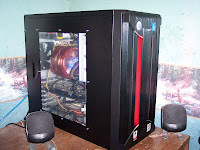 It is a Pentium 4, 2.6 Ghz, with 512 MB of RAM and an 80 GB hard disk. 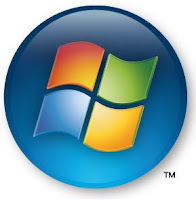 I installed Windows Server 2003 on it along with Apache, PHP, and MySQL. I then managed to migrate all of the databases over to the new server and got the sites back up and running. 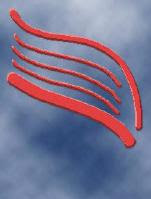 All web and e-mail services are now running so smooth! Thanks for your generous donation, K! New Year's Eve Party Pictures! I've uploaded all of the pictures from the New Year's Eve Party! You can see them [url=http://www.tigrao.org/gallery/main.php?g2_itemId=3043]in the photo gallery[/url].